Health insurance is one insurance product which every individual should ideally have, but doesn’t. Hale and hearty you may very well be, but you can never completely negate the possibility of health risks during the course of your life. To that end, it is often said that it is better to have health insurance and not need it than to need it and not have it. The importance of this phrase resounds when a medical emergency occurs. Basically, a health insurance plan is an insurance product that covers the medical and surgical expenses incurred by the insured in case of hospitalization after an injury or accident, and even pays for a number of day care procedures that do not require admission to the hospital. Inflation is an inescapable fact that has plagued every industry and sector, and the same holds true for healthcare as well. We have experienced a number of advancements in the health care sector, but the costs for being able to avail these facilities are also on a constant rise. Even a single serious ailment has the capability to wipe out your entire savings, leaving you in a crippling financial hole. This is a situation that can be avoided with the right health insurance plans. There are two broad classifications of health insurance plans – individual and family health insurance plans. One should always buy insurance based on their particular needs. If you are single and are living alone, buying a family health insurance will have no use for you. 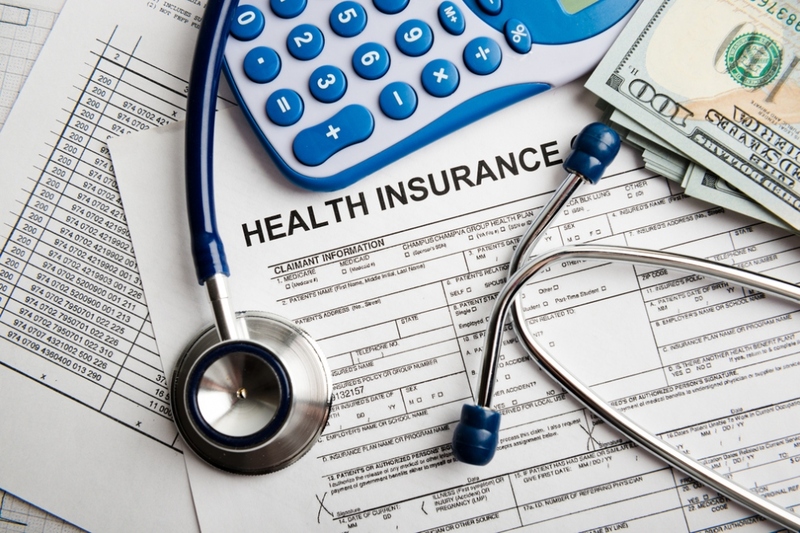 On the other hand, if you have elderly parents or are married, with kids, etc., buying a family health insurance would be the right decision, owing to the fact that you will be able to avail insurance for the entire family, without having to pay a lot of money.A proper health insurance plan will offer you coverage against major expenses incurred due to medical reasons, and with the right plan, the coverage will extend to your entire family. A medical emergency can occur at any time, without any prior notice. That is after all, the entire premise behind the word “emergency”. When a medical emergency does occur, the last thing you would want to do is worry about the financial part of hospitalization. With the right health insurance plans, you get the option of cashless hospitalization. Under this benefit, you need to mention to the hospital staff at the time of admission that you are covered under the cashless facility. They will contact your insurance company and get approval for the admission, and then, when the bill is generated, it will be paid by the insurer directly to the hospital. This gives the insured a great deal of peace, knowing that they don’t have to come up with a major sum of money for admission. However, one thing that must be kept in mind is the fact that you can only avail cashless facilities at the network hospitals as listed by your insurer. A health insurance policy is not just restricted to hospital bills. If a doctor prescribes domiciliary treatment, the expenses incurred for the treatment, nurse’s allowance, etc. are also covered by most insurance policies. The amount that can be availed for domiciliary treatment varies with each health insurance provider, and the policy that has been opted for. One of the top most benefits of purchasing health insurance plans is that you are eligible for tax benefits on the total premium you pay for insurance. The tax benefits for seniors are a little higher than the normal deductions offered. As this allows you to reduce your tax liability by a great margin, a number of people buy health insurance plans for the sole purpose of availing tax benefits. However, when you are already spending a particular amount of money on the insurance, why not look around and find a good policy to suit your needs? It might even prove to be pretty beneficial someday. A lot of people think that they are young and healthy and have no need of a health insurance plan. However, a medical emergency or accident is not something that can be predicted. Being prepared for such emergencies is always a good plan. It is better to buy a health insurance policy as timely as you can, so that you don’t fall short when you need it. There are of course a few things that you should keep in mind before purchasing health insurance plans. First of all, you should evaluate your health care needs and then start searching for policies that match those needs. The next part is to look for health insurance online. When you search online, you can easily compare the coverage and premiums of different policies, which is important in order to buy the right one for you. Assess and identify the insurance policy that would be right for you; while some people would be well suited for an individual plan, others would need a family floater. Most health insurance policies have waiting periods for a number of aspects, like medical check-ups and pre-existing illnesses. When you buy the policy while you’re young, you might not need these benefits and you can ride through the waiting period without any issues. Plus, the premiums for health insurance policies are lower at a younger age. There are numerous benefits of having proper health insurance, and it goes without saying that having health insurance is indeed a very good decision! Just make sure you compare different policies before you buy.